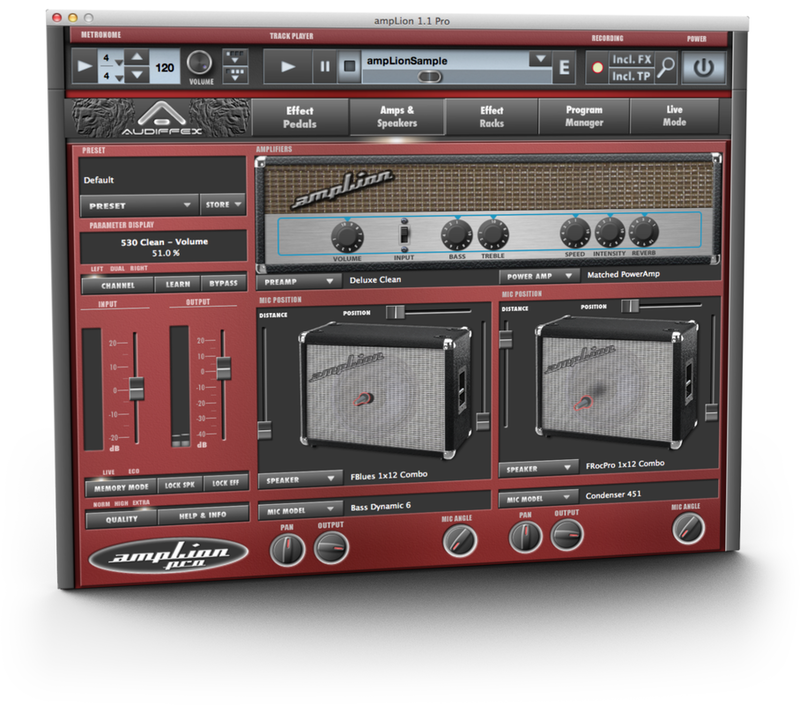 AmpLion's advanced track player lets you play along with your favorite artists and learn their songs. Speed control allows you to slow down, if you can`t make it, or even speed up. Built in recorder will keep every new riff safe. Record dry guitar sound, processed or even mix with the track player. There's no need to move around heavy guitar stacks for every show. Simply take your laptop with AmpLion installed and use it instead. 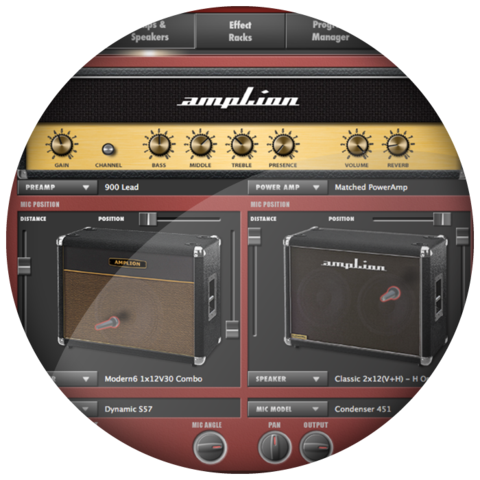 AmpLion can be easily controlled by any MIDI controller. In addition Live mode offers simplified view of presets for live playing. Effects*In each preset you can use up to 8 (or 4+4) from dozens of stompboxes. Use a number of drive pedals, choruses, equalizers and others to improve your sound. If your sound is not freaky enough, add some post rack effects... In addition, use a built-in tuner. *All product and company names are are trademarks of their respective owners, which are in no way associated or affiliated with Audiffex. They are used solely to express our admiration and respect to these legends of audio industry.